It’s Friday, May 20th and your weekly tech news roundup is here. This week’s news is going to be a little different, in the sense that most of what you read will be about Google I/O 2016, which is underway right now in Mountain View, California. To get the specifics out of the way, today’s exquisite menu consists of Google’s answer to Amazon Alexa with Google Home, the new smart AI assistant dubbed Google Assistant, two brand new messaging apps from Google, and the new Google Daydream. And for desserts, we have Android N and Chrome OS. You’re welcome!! 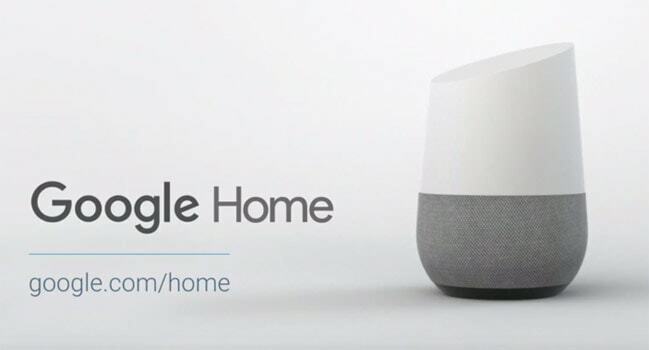 This week during the Google I/O 2016 you may have heard about a lot of great announcements but the one which has gotten everyone talking is the Google Home. It’s a small WiFi enabled speaker with Google search built in. But wait, that’s not all. This baby is Google Search on Steroids. Google Home will be powered by Google’s next generation AI the Assistant. Google Assistant is way smarter than anything you’ve come across so far. It does answer all those basic questions but where it shines is in the follow-up questions. It is capable of contextually analyzing your queries and offers response accordingly. 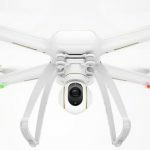 The device will ship this fall and pricing and availability will be announced at the same time. Google is hands down the leader in the search industry and for Android users you know how Google Now keeps getting better and better. Google just energized Now and it’s called Google Assistant. Google assistant is more than an assistant, it’s personal, it knows who you are and learns about you over time so it just keeps getting better. So now you maybe asking, “How do I download it?”, you don’t have to, Assistant will be built into all Google services eventually so with the next iteration of Android you can enjoy its goodness. Messaging services keep getting better, take for example Facebook Messenger. This year with the introduction of bots, the service created a standard that’s hard to beat. Well, it looks like someone is just close enough. 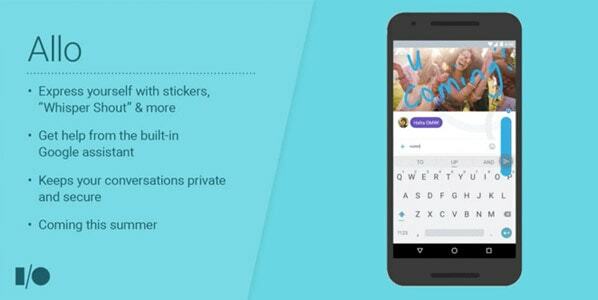 You may have been reading about the rumours that Google has been secretly a messaging app. Turns out those speculations were correct. 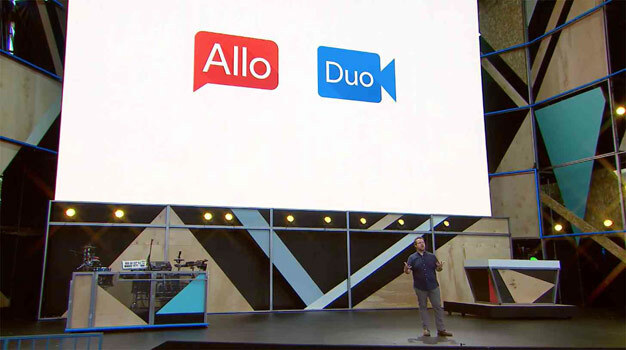 At I/O, Google announced 2 new apps, Allo, and Duo. Allo is a crazy new app with a lot of smarts up its sleeves. 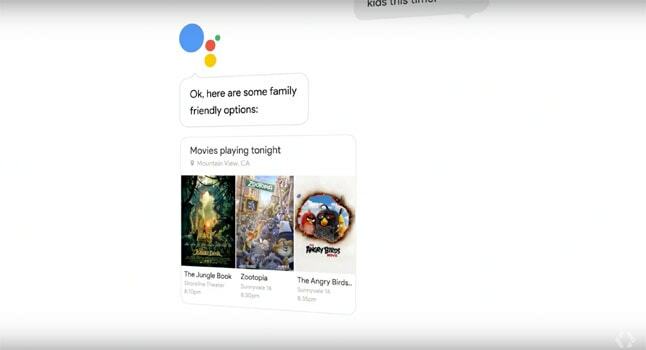 It is home to the Google assistant and offers smart replies to messages just like Inbox. You also have all the goodness of Google Now and search built right in. So it’s that much easier for you to search for something without switching apps. And for all those privacy fanatics, Allo supports incognito mode with end to end encryption along with a message expiry feature. On the other hand, Duo is a new video calling app that is supposed to be performant even on slow connections. It has an interesting new “Knock Knock” feature which lets you see who’s calling and where are they calling (by showing you their camera feed before you even pick up the call). The app is built by the folks who built the WebRTC protocol so it’s bound to be reliant. Both these apps will be available later this summer. Google can now be called an old player in the VR industry. With the launch of card board in 2014 and Jump in 2015, Google’s VR efforts have been progressively getting better. This took a whole new turn this year when the search giant announced Daydream. 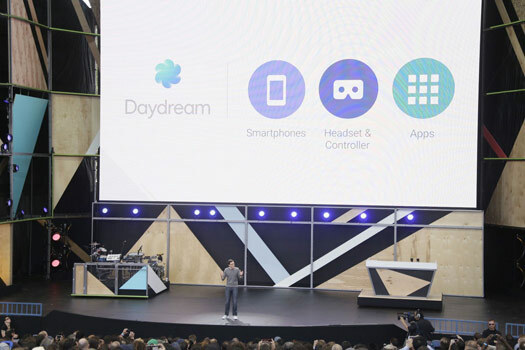 Daydream is essentially a platform for VR content. It’s a set of standards which Google believes, device makers will use to enhance their devices with better optics and top of the line performance in order be called Daydream ready. Each complaint device would allow users to consume content in the most immersive way possible. I/O has been Android-centric for a quite a few years now but this year it changed. With the preview release of Android coming out as early as may Google already delivered the surprise. But still as ceremonial as it may sound, Dave Burke did get up on stage. And yeah he had some announcements regarding what’s up with the platform. First, as Sundar promised, you can now suggest the name for Android N by visiting this link (Just don’t suggest something crazy, please). 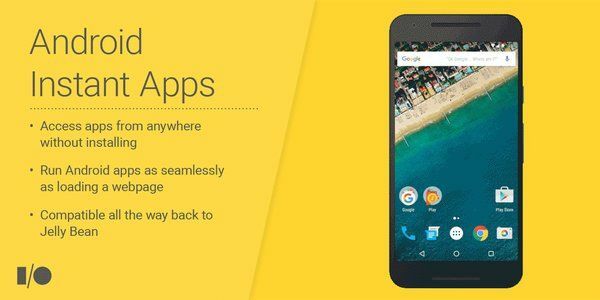 Second, Android will now offer seamless automatic updates to devices just like Chrome OS. Third, Google confirmed that all Android apps will be coming to Chrome OS this June so you have all the more reasons to buy a Chromebook now. And lastly Instant Apps (I saved the best one for the end). Instant Apps is a new feature which will allow you to download specific parts of an app when you visit a URL (it’s almost as if you are loading a webpage). So let’s consider you need to book a ride but you don’t have the Uber app. No problem! Search for Uber on Google and when you open it, instead of downloading the full app you will land on a screen where you can book the ride and be done with it. That simple, no hassle of owning an entire app. This feature is backward compatible till JellyBean and should be coming to all Android devices later this year. 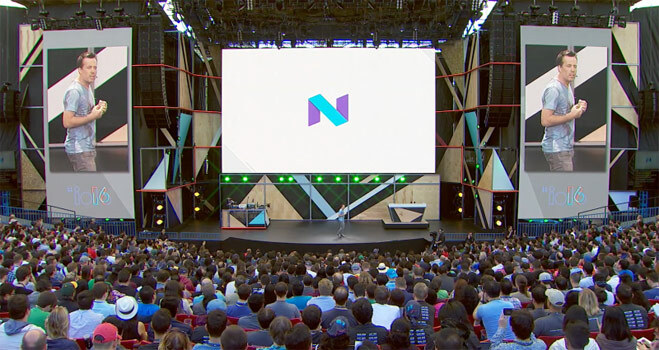 Nice Roundup of the Google I/O event. I like the Google home , I think it will beat Alexa and take the crown of home-based voice assistant. Instant apps are awesome with this, we can use the apps just like browsing the web and we don’t need to worry about storage space on our phones. Google is constantly innovating! It is not for nothing that is idolized company in the four corners of the world! Hi, Thanks for the article. It’s amazing to read about these latest technologies by Google. I loved the new application Allo by Google. It made it easier to search and have wonderful features. Thanks for the article it was a good time reading about such great technologies that are now in market.